To coincide with the opening of its new Manchester office, engineering and environmental consultancy Ricardo will host a free workshop on how to embed resilience and sustainability in the crucial utilities and transportation sector projects and initiatives that will underpin the success of the UK’s Northern Powerhouse. The workshop is intended to be of interest to executives, planners, investors, engineers and scientists drawn from the major water and energy companies, airports, ports and local authorities, as well as other stakeholders in developments within the Northern Powerhouse. The event will be hosted on 22 February to coincide with the launch of the new Ricardo Manchester office. Workshops will be delivered by experts drawn from across the company’s diverse water and environment, energy, sustainable transport and climate change teams. Attendance at the event is free of charge, but prior registration is required. The workshop will focus on strategic areas for Northern Powerhouse development, drawn from Ricardo’s experience supporting organizations around the world to overcome environmental and commercial challenges within major infrastructure projects. Topics will include developing greener airports, using cross industry innovation to address challenges in the water sector, and applying environmental digital solutions during sustainable city development. 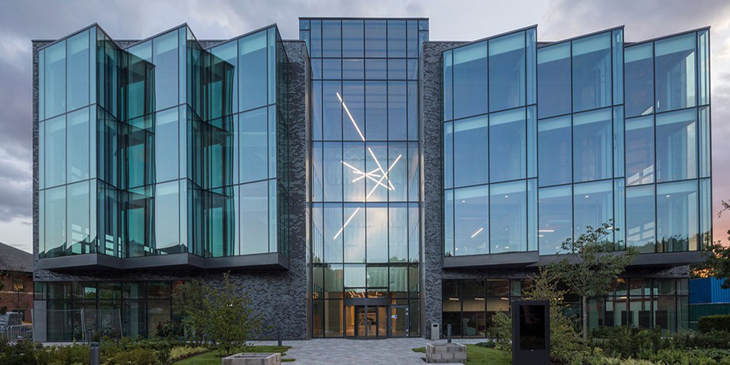 The new office, at which the event will be hosted, is located in the recently built Bright Building on Manchester Science Park, and will act as a focus for Ricardo’s expanded infrastructure and utilities team. The investment in Manchester is the most recent milestone in the development of Ricardo as a multi-industry provider of technical expertise and innovation. It reflects the company’s aims to help customers improve energy and resource efficiency, and commercial and environmental sustainability. Ricardo is unique in its ability to foster technology transfer with the aim of creating new innovations for the benefit of utilities sector customers. An example of this work has been in the adaptation of Ricardo’s powerful IGNITE software – originally developed to optimize the highly complex systems of the latest generation of vehicles – to create city and regional water modelling package for water distribution networks. The simulation tool will provide a detailed strategic guidance for future decisions – such as how and where to upgrade network assets and where to secure future water supplies from. Ricardo also works with UK airports to implement sustainability strategies and is supporting major vehicle fleet operators to develop effective business plans to implement electric vehicle technology.